It’s a little bit steep! Can you make it cheaper? How about $100 for two? I found this for $100 at YODOBASHI. Can you match the price? 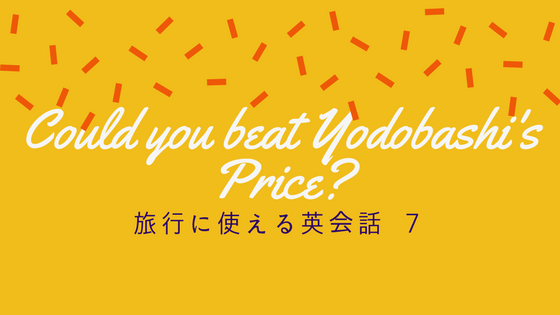 Could you beat Yodobashi’s price? Can you give it to me for $90? Can you sell it for $90? OK,$100. And, Could you throw in 5 DVDs? Could you throw in something extra?